When you come up with an invention that seems "out of the box," you may be convinced that nobody has ever come up with anything similar to it. However, when you decide to enter into the patent application process, you need to make sure that no one has beaten you to it. In order to remedy this situation, one must look into patents on similar gadgets and determine whether or not your product is unique. 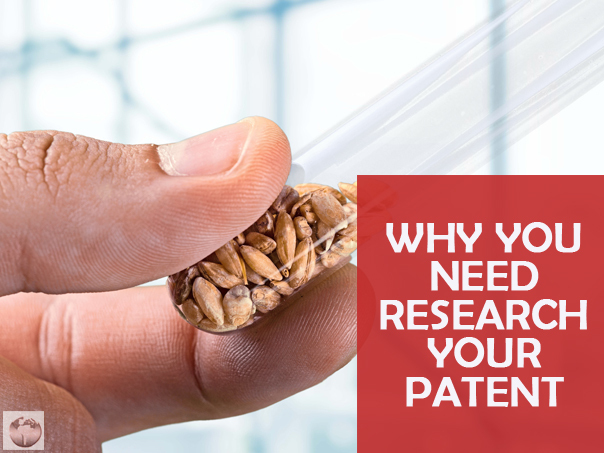 In order to find out if someone has a patent on a particular product similar to yours, you must do a patent search. While this may sound simple, it's not as easy as you might think. It takes more than just simply adding a few keywords into a search engine. The patent database provided the United States Patent and Trademark Office (USPTO) is extremely dense and expansive. In order to search for a patent without overwhelming yourself, let's identify the three types of patents managed under the USPTO and which category your product belongs to. The three types of patents in the USPTO database are utility, design, and plant patents. Utility patents are the most common type of patent you'll encounter. This covers objects that function in a new way or produce a new result that similar objects haven't been able to do before. If you've come up with a new type of car engine or part that changes the way we are able to drive, that would fall under a utility patent. Design patents deal with developments or enhancements to existing objects, but one that doesn't change it's intended use. Regarding cars again, if you developed a certain shape for a car hood or spoiler, that would be counted towards a design patent, since it wouldn't change the way we use those two car products. Lastly, plant patents encompasses new types of plants developed via grafts, or cuttings. Most likely, your invention will fall under the first two categories. Now that you're familiar with patent search process, take a look in the USPTO database and see if some product similar to yours is already patented. This will save you a lot of headache later on.